Plant-fiber swatch knitting is an opportunity to find out some important things to make these easy-to-wear fibers work in knitted garments. If you have questions about these fibers and how to use them, the Plant-Fiber Swatch Workshop is for you! Why a Plant-Fiber Swatch Workshop? There are variations within the plant-fiber category. Success depends on a proper marriage of yarn, fiber, and design. Separating these fibers made sense as they are different from protein-based fibers (excluding silk). Lacking memory, these fibers often need special consideration when designing or choosing a project for them. Using plant-fiber yarns opens up projects to those who cannot tolerate wool, who live in warmer climates, who “run hot”, and those who like summer-weight knits. Is this really necessary? Isn’t getting gauge enough? The lack of memory in these plant fibers necessitates special consideration. It is not enough to match gauge because the yarn will behave differently. I will guide you through finding those differences, seeing ways to enhance the basic nature of plant-fibers, and we will look at ways to use these plant-fiber yarns to greater advantage. 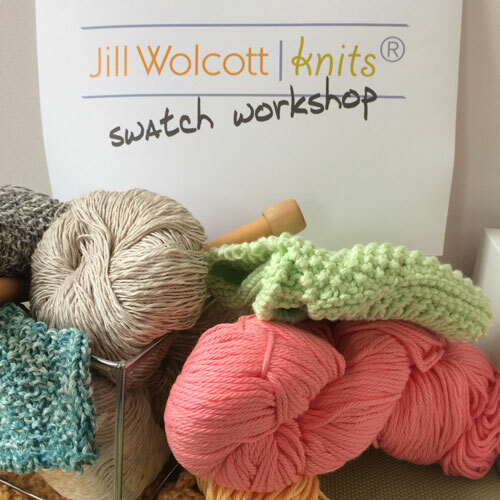 Is A Plant-Fiber Swatch Workshop For You? There are so many possibilities that get left by the wayside of knitting if you only use wool. Love wool (as you should), but there are other opportunities out there! Do you quit knitting when wool becomes uncomfortable to use? Do you know someone who won’t or can’t wear wool? Do you live where the weather is not wool appropriate? Do you love summer-weight knits? Do you “run hot” or know someone who does? Perhaps you fall into these categories. knitters or designers seeking a broader design range. 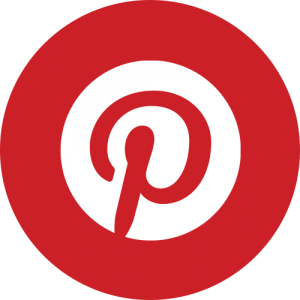 knitters or designers looking for more knitting confidence. knitters or designers seeking more control over their knitting outcomes. See, this could be for you! 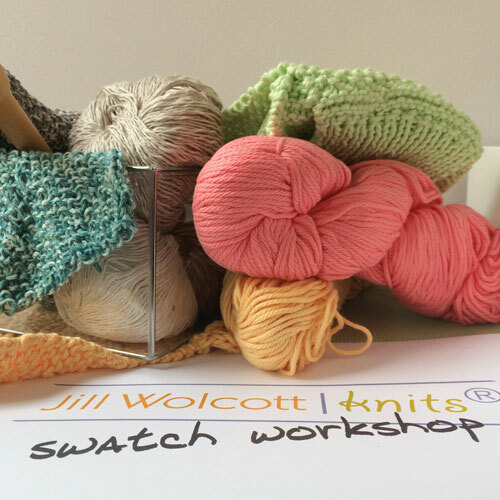 Add this to the Swatch Workshop and get five full weeks of yarn, fiber, and knitting guidance.